Hello our dear illustrious ones. You have made it through yet another significant marker of your journey into and of ascension, and the energies are settling within you and about you, and reveal and represent and portend a significant jump in your vibration both individually and collectively. The universe is expansive. But your energies are also expansive, and you are realizing that you can be as big in your energy as the universe and even beyond that to the multiverses. 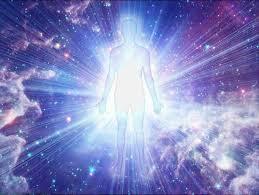 The expansion of your energies is so immense right now. As it settles and integrates, be prepared for many insights and inroads into a new way of living. You have left the old behind in so many aspects and so many connotations of the concept of duality. You have been allowed by your own intentions to open the doors of your proverbial cage of duality and can now breathe free and soar through the door into many vistas of beautiful realities and possibilities, and yes, into the unknown, but dear ones, you are ready for that; you are prepared. All the work you have done up to now to discard all that does not serve you is paying off big time…you have hit the jackpot so to speak. For in letting go and of your hold on limiting concepts and beliefs and fears, you have opened up your energy for so many possibilities and new experiences that it would take a while to categorize it, to quantify it, and to appreciate it. Consider this a parting of the gates, dear ones, a parting of the energetic gates that held you captive into a reality that was only constructed for your learning and experience. You are laying down all the posts and apparatus holding you within that confinement and you can now feel the fresh new breeze of a new vista before you. And the possibilities are endless. We have told you this before, but the magnitude of that you are just beginning to embrace. The sky is the limit, dear ones, so where do you go from here as you are streaming out of the gates of your confinement into a beautiful new world of Light and Love and magnificent colors and sounds and textures and tastes? You have cleansed your palate, so to speak, and now you prepare for a luxuriant exotic feast of exquisite colors and form, and all things to delight you, in a whole new world of stepped-up dimension. Clear your eyes and be prepared to witness a change in your perception and in your acceptance of entirely new ideas and abilities that are waiting for you, that are before you now. What we are attempting to show this channel is a little bit overwhelming to her and words are hard-pressed to show and reveal what we are trying to share with her and you, dear ones. So take away the words now and just feel and experience a feeling of complete lightness and vivid colors and exuberant joy and such openness to expanding possibilities. It is as if you can now mold any thought into reality right now, if you would feel it so deeply in your heart, and believe it so deeply in your heart, that it becomes so real to you. Remember: You have left your cages, left your confinements of yesterday’s duality. Now, what do you wish to mold and create as you step out into the fresh clean, light, colorful air of the 5th dimension and higher and see things from the perspective from which we see them? It will take a bit of practice and acceptance and allowance, but do not forsake yourself, and instead allow yourself to experience the lighter air, which is only commensurate to your Lightbody, your Crystalline Body that is well on its way to fruition. Give yourselves time now to assimilate all the energies that you have allowed to enter your bodies and your fields, and continue to accept and assimilate them as the days go on. It may require you to shift your vision of what you will do in your days. It may require you to shift your expectations of what you will do with your days. It may require you to shift your perceptions moment by moment. It may require you to anchor into the stillness of the Now moment much more regularly. And it may require you to let loose of any control that would bring you back to familiar territory. But just go with it. You will get the hang of it, dear ones. We have utter faith in your abilities to adapt to this new milieu of your new Reality. Give yourselves time to adapt. And we leave you now with these thoughts and these images to carry you further along your ascension path. Know always that we love you deeply; please take this in deeply, as you allow yourselves to love yourselves even more deeply with each passing moment, as you allow yourselves to love your neighbor and all upon this planet and the universes even more deeply, with each passing moment. And we leave you now also with the encouragement to honor yourselves, to honor your magnificent divine nature, as you honor the divinity in others. Yes! Thank you for this beautiful and uplifting channel. Thank you Brenda! much love! Much gratitude and love to you!